These tools are heavier because of the thickness of the cardboard. To spare the oparator, it is recommended to specify these type of carton closers with suspension wire. 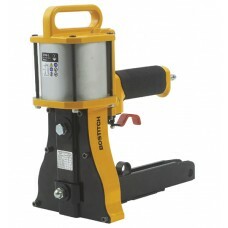 This Stanley Bostitch air powered heavy duty top sealer D31AD is the largest tool in our carton clos..